As parents, we know it can be a struggle to find summer camps that are convenient, reliable and affordable. We’ve put together this New Jersey Summer Camps Directory with you in mind. We have listed them by county to help you find a summer camp near you. If you know of New Jersey summer camps that should be included in our listing please email us or have the camp contact us at jenniferauer@jerseyfamilyfun.com. Thank you. Looking for a speciality camp? We’d also love you to check out one of these featured summer camps in New Jersey. 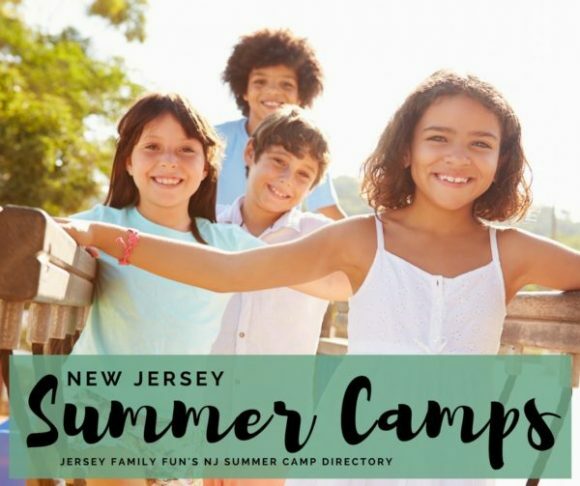 To get your summer camp in New Jersey listing upgraded email Jersey Family Fun at jenniferauer@jerseyfamilyfun.com with New Jersey Summer Camp Directory in your subject heading. We are currently working on adding summer camps to this listing. If you have a summer camp in Bergen County that should be added, please see the information above under Listing options for New Jersey summer camps. Apple Montessori Summer Camp in Cliffside Park, Edgewater, Mahwah and Oakland. These day camps are open to ages 2 – 12 and focus on fun learning as well as outdoor physical play (swimming available at select locations). Camp Kipanga ACA Accredited day camp for children who struggle with social relationships, on the grounds of Ramapo College. – Mahwah. (845) 354-2121. Game Camp Nation is a day or overnight camp for kids age 9 and up with an interest in video game design or STEM. Held in the Residence Inn by Marriot – Saddle River. (888) 663-9633. Les Enfants Preschool & Summer Camp is a day camp for ages 2 1/2 – 10 that offers swimming, field trips and indoor/outdoor play – Palisades Park. (201) 592-6695. Lindgren School Summer Camp is open to ages 3-11 and focuses on outdoor activities including daily swim. Day camp only. – Closter. (201) 768-3550. Little Ivy Academy Summer Camp brings STEAM based fun and traditional day camp for 1st through 8th graders. – Ridgewood (201) 444-8400. Neil Klatskin Day Camp offers ages 3-7 a Jewish environment for swimming, sports and indoor activities. – Tenafly. (201) 569-7900. Ridgefield Park Summer Camp day camp located at Roosevelt School with every day swim. – Ridgefield Park. (201) 870-1202. Sunrise Summer Camp day camp for ages 5 -12 focuses on indoor and outdoor sports and more – Rutherford. (201) 574-5908. Star Study Summer Camp is a STEAM day camp for ages 5- 13 and offers fun field trips. – Edgewater. (201) 943-1050. We are currently working on adding summer camps to this listing. If you have a summer camp in Essex County that should be added, please see the information above under Listing options for New Jersey summer camps. Geyer YMCA offers specialized camps in sports, arts and the outdoors for ages 2-15 – Montclair (973) 744-3400. Harbor Haven Camp a day camp for ages 3 – 18 that offers swim, trips, performing arts and more. – West Orange. (908) 964-5411. Jump Immersion Camp day camp that provides immersion in either Spanish or Mandarin, for ages 3-12 – Livingston. (732) 384-1566. Lavner Summer Camp day camp operated at Montclair University that focuses on sports, technology and the arts. – Montclair. (973) 400-2648. NJ School of Dramatic Arts focuses on theater and improv for grades 4-12. – Bloomfield. (973) 566-9700. The Summer Theater Camp of Montclair a performing arts day camp for ages 7-16 – Montclair. (973) 746-8686. We are currently working on adding summer camps to this listing. If you have a summer camp in Hudson County that should be added, please see the information above under Listing options for New Jersey summer camps. River School day camp for ages 3 – 6 with two Jersey City locations.- Jersey City. (201) 626-8888. We are currently working on adding summer camps to this listing. If you have a summer camp in Morris County that should be added, please see the information above under Listing options for New Jersey summer camps. Future Stars Day Camp explore sports, robotics, CSI, fine arts and more for ages 5 -13 – Multiple Morris County locations. (215) 674-0494. Hi Hills Day Camp day camp on the campus of Gill St. Bernards school, offering academic and sports and more – Gladstone. (908) 234-0067. Jeff Lake Day Camp a 50 acre lake offers water sports, sports, academic and craft activities for ages pre-K to 10th grade.- Stanhope. (973) 347-1230. Kubert School Summer Camp is a cartooning/art day camp for ages 10-18. – Dover. (973) 361-1327. New Horizons Day Camp Kindergarten through 9th grade can enjoy this day camp that offers traditional and unique sports. – Florham Park. (973) 850-6640. Rockaway’s Best Summer Camp this martial arts camp offers longer hours and smaller groups for ages 4-11. – Rockaway. (973) 361-0100. Tamarack Day Camp day camp on 37 acres with outdoor activities including swimming and sports complex for ages 3-15 – Randolph. (862) 244-4422. Willow Lake Day Camp ages 3-15 welcome at this waterfront day camp with a pool complex and soccer fields, among more.- Lake Hopatcong. (973) 663-2267. We are currently working on adding summer camps to this listing. If you have a summer camp in Passaic County that should be added, please see the information above under Listing options for New Jersey summer camps. 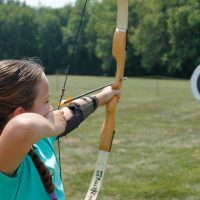 Solid Rock Day Camp Christian based day camp with weekly themes and clinics including cooking, archery, gymnastics and more – West Milford. (973) 728-4460. Spring Lake Day Camp for kindergarten to tenth grade, full day on 30 acres with swimming, sports and even go karts. – Ringwood. (973) 831-9000. We are currently working on adding summer camps to this listing. If you have a summer camp in Sussex County that should be added, please see the information above under Listing options for New Jersey summer camps. Camp Louemma is a coed sleep away camp for ages 7 -15 with traditional camping experiences – Sussex. (973) 875-4403. Camp Nejeda day or sleep away camp for children with Type 1 diabetes – Stillwater. (973) 383-2611. Engle Day School offers extended hours for ages up to 14 and offers indoor and outdoor fun including an on site swimming pool. – Sparta. (973) 726-0605. Lindley G. Cook 4H Camp a sleep away camp in the woods operated by the Rutgers Agricultural Experimental Station. – Branchville. (973) 948-3550. Sports-N-Swim Summer Camp day camp for ages 4 -14 that offers field trips in addition to daily sports. – Sparta. (973) 726-8561. We are currently working on adding summer camps to this listing. If you have a summer camp in Union County that should be added, please see the information above under Listing options for New Jersey summer camps. Kent Place Summer Camp day camp for ages 3 -15 with a wide variety of weekly offerings- Summit. (908) 273-0900. We are currently working on adding summer camps to this listing. If you have a summer camp in Warren County that should be added, please see the information above under Listing options for New Jersey summer camps. Campus Kids weekday or sleepaway camp for ages 7-15, where campers choose their own daily activities. – Blairstown. (973) 845-9260. Camp Riverbend Age 3 – grade 9 can cook, swim, perform or do ninja courses or more at this day camp. – Warren. (908) 580-CAMP. We are currently working on adding summer camps to this listing. If you have a summer camp in Hunterdon County that should be added, please see the information above under Listing options for New Jersey summer camps. Gymnastics Unlimited Summer Camp day camp with a gymnastics theme on a park like campus for ages 6-12 – Flemington. (908) 782-8887. Riding with HEART offers equine therapy camps, camps for military families and even moms. – Pittstown. (908) 735-5912. Winnewald Day Camp enjoy daily swimming and other traditional summer camp activities on the 30 acre property. – Lebanon. (908) 735-8336. We are currently working on adding summer camps to this listing. If you have a summer camp in Mercer County that should be added, please see the information above under Listing options for New Jersey summer camps. ESF Camp day camp in Lawrenceville, New Jersey. This Central New Jersey summer camp is located at Lawrenceville School, 2500 Main Street in Lawrenceville. (609) 896-0606. ESF Camps deliver a unique assortment of camps for children of all ages and interests, while providing a safe and fun environment. Half day camps and full day camp sessions are available for pre-K through 10th grade from June 18 to August 17. Extended day care is also available. Learn more and enter to win a free week of camp in this Jersey Family Fun article. Other summer camps in Mercer County to consider. GymLand ages 5-12 can enjoy gymnastics, arts and crafts and special events at this day camp- Trenton. (609) 584-7700. 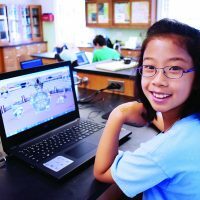 Lavner Summer Camp day camp for ages 6-15 offers STEM, creative arts and education – Princeton. (888) 854-CAMP. Rambling Pines 225 acres provides endless fun with swimming, arts and crafts, creative arts and more for ages pre-K through 10th grade at this day camp – Hopewell. (609) 466-1212. 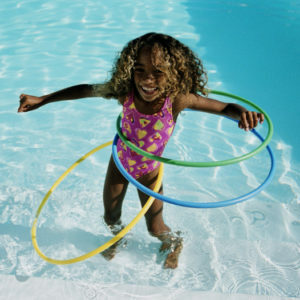 YWCA of Trenton Summer Camp day camp for grades pre-k through 6th offers swimming and more. – Trenton. (609) 396-8291. We are currently working on adding summer camps to this listing. If you have a summer camp in Middlesex County that should be added, please see the information above under Listing options for New Jersey summer camps. American Dance Studios Summer Camp this day camp goes beyond dance – costume design, musical theater and more for ages 4-17 – Edison. (732) 659-4237. Apple Montessori Summer Camp These day camps are open to ages 2 – 12 and focus on fun learning as well as outdoor physical play (swimming available at select locations). – Edison. (732) 494-4111. Metuchen. (732) 205-1515. Camp Ricochet Summer Camp day camp for children entering 1st through 8th grade, indoor and outdoor sports and other activities at Club Ricochet – South Plainfield. (908) 753-2300. Chinmaya Vrindavan Summer Camp spirtual based day camp for kindergarten through grade 8- Cranbury. (609) 655-0404. Country Roads Day Camp offers unique sports, water play and indoor facilities for grades Pre-K through 10th. – Manalapan. (732) 446-4100. Eagles Landing Day Camp age 3 to grade 10 can enjoy trips, swim and traditional camp activities at this day camp – North Brunswick. (732) 821-9155. JCC Camp Ruach this Jewish faith based day camp accommodates from age 2 all the way up to 9th grade, with availability for special needs – Bridgewater. (908) 443-9027. Jump Immersion School day camp that provides immersion in either Spanish or Mandarin, for ages 3-12 – Edison. (732) 384-1566. Kateri Day Camp for ages 5-13 offers daily swim, creative arts and nature programs on their 260 acre day camp – Morganville. (732) 946-9694. Kiddie Keep Well Camp sleep away camp for Middlesex County disadvantaged youth- Edison. (732) 548-6542. Lakeview Day Camp lakefront day camp for grades pre-K through 10th offering sports, creative arts, tech and more – North Brunswick. (732) 821-8933. We are currently working on adding summer camps to this listing. If you have a summer camp in Monmouth County that should be added, please see the information above under Listing options for New Jersey summer camps. ESF Camp day camp in Tinton Falls, New Jersey. This Central Jersey summer camp is located at Ranney School, 235 Hope Road in Tinton Falls. (732) 898-6989. Other summer camps in Monmouth County to consider. Allaire Country Day Camp an indoor/outdoor day camp held at the Good Sports facility for ages 2 1/2 to 14 offering swim, sports and day trips – Wall. (732) 681-4651. Atlantic Club Summer Camp an array of offerings held at this indoor/outdoor facility including sports, circus and adventure themes are available for ages 2 and up – Manasquan. (732) 292-4475. Brookside School Sea Girt day camp for ages 2 and up, offering swim, trips, indoor activities and more – Sea Girt. (732) 449-4747. Camp Excel day camp for children with social skills challenges – Neptune Twp. (732) 282-0150. Rising Treetops at Oakhurst sleep away camp for special needs children on a 15 acre campus near the ocean – Oakhurst. (732) 531-0292. Camp Zehnder (YMCA camp) 140 acres of summer camp fun for ages 3-15 to enjoy swim, nature, and STEM – Wall. (732) 836-9177. Frogbridge Day Camp an aquatic complex, multiple lakefront facilities and an impressively wide variety of activities await grades pre-K through age 15 at this 86 acre day camp – Millstone. (609) 208-9050. Pine Grove Day Camp offers traditional camp activities including heated pools for ages 3-15 on their 36 acre facility day camp – Wall. (732) 938-3760. Rolling Hills Country Day Camp 20 acres of unique sports, creative arts spaces and indoor/outdoor facilities for ages nursery school through 10th grade – Freehold. (732) 308-0405. Sacajawea Day Camp day camp for girls ages 3-15 operated by the Girl Scouts with a separate division for brothers. – Farmingdale. (732)751-2766. Summer Friends Summer Camp day camp for grades up to 8th grade, includes daily swim along with dance, arts and crafts, karate and more – Matawan. (732) 583-0138. We are currently working on adding summer camps to this listing. If you have a summer camp in Somerset County that should be added, please see the information above under Listing options for New Jersey summer camps. Oakcrest Day Camp day camp for age 3 through 11th grade offering swim, creative arts, a ropes course and much more- Somerset. (732) 297-2000. We are currently working on adding summer camps to this listing. If you have a summer camp in Atlantic County that should be added, please see the information above under Listing options for New Jersey summer camps. Camp Haluwasa Christian camp and retreat center offers both day and overnight camp for ages 6-16 – Hammonton. (609) 561-3081. Camp Tuscaloosa sports, swimming and more await ages 3 1/2 to 14 at this day camp with two pools – Hammonton. (609) 567-3321. Everest Gymnastics & Tumbling Center cheer, gymnastics, tumble and more at this day camp – Galloway. (609) 748-2186. Highland Academy Summer Camp summer camp at Stockton University for ages 4-14 offers swim, sports, arts and crafts and more – Absecon. (609) 652-9500. Kid Academy day care center offers care for ages 4-11 with trips, swimming, and other activities. – Absecon. (888) 303-7104. We are currently working on adding summer camps to this listing. If you have a summer camp in Burlington County that should be added, please see the information above under Listing options for New Jersey summer camps. ESF Camp day camp in Moorestown New Jersey. This South Jersey summer camp is located at William Allen Middle School, 801 N. Stanwick Road in Moorestown. (856) 235-5300. Woodford Cedar Run Wildlife Refuge summer camp in Medford, New Jersey. This South Jersey summer camp is located at 4 Sawmill Road in Medford. (856) 983-3329. Walk in the woods, dig in the dirt and wade in the water during the week-long summer day camps at Cedar Run Wildlife Refuge. Daily activities include hands-on experiences and experiments, visits with native wildlife, games, arts and crafts and creative play. Perfect for the budding scientist or nature lover in your home. Half day and full day sessions available for pre-K through 8th grade from June 25 to August 24. Discovery by the Day and Drop-In Days also available. 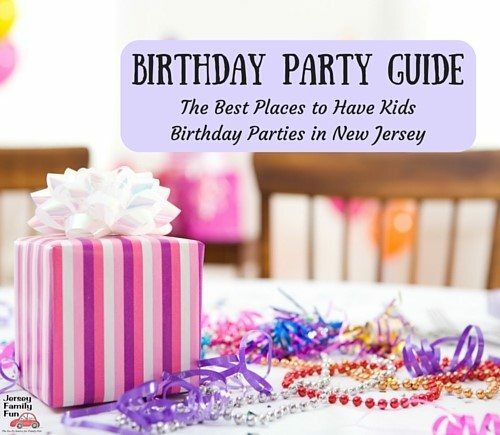 Learn more in this Jersey Family Fun article. Other summer camps in Burlington County to consider. Big League Dreams sports focused day camp offered indoors for ages 6-14 – Medford. (609) 654-4555. Camp Dark Waters Quaker faith based sleep away camp offered to ages 7-14 with traditional camping activities. – Medford. (609) 654-8846. Camp Creek Run a 50 acre lakefront day camp for ages 4-13 with water activities, sports, nature studies and more. – Marlton. (856) 596-4250. Chartwell’s Happy Day Camp day camp for ages 4-14 with half, full and extended day options and fun weekly themes – Marlton. (856) 983-8827. Happy Hooves Stables Summer Horse Camp ages 5-13 enjoy daily horseback riding and farm themed activities and crafts at this day camp – Lumberton. (609) 451-5626. JCC Summer Camp ages 3 – 14 are included at this day camp focused on the Jewish faith – Medford. (856) 751-1666. Liberty Lake Day Camp 60 total acres and a 7 acre lake await campers from pre-K to 10th grade at this day camp – Bordentown. (609) 499-7820. MFS Summer Programs something for everyone from Chinese language to scuba diving offered to age 3 through grade 10 at this day camp held at Moorestown Friends School – Moorestown. (856) 914-4493. Mount Laurel ISC Summer Camp day camp for age 3 1/2 to grade 8 at their indoor sports facility with outdoor play and field trips- Mount Laurel. (856) 273-2828. 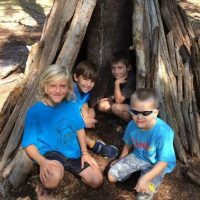 Rancocas Nature Center Summer Nature Camp is open to grades 1 – 7 – Mount Holly. (609) 261-2495. Coliseum Summer Camp in Voorhees, New Jersey. This South Jersey summer camp is located at Voorhees Coliseum, 333 Preston Ave in Voorhees. (856) 335-3007. Enjoy a summer filled with rock climbing, swimming, turf games and more! !Sessions run during July and August. Learn more and get registered for this Voorhees summer camp at their website. Other summer camps in Camden County to consider. All Star Kids Summer Camp weekly themes, gaming center and swim make this day camp fun for ages 5-12 – Stratford. (856) 783-1133 . Camp 99 is a cost effective day camp for ages 5-12 that offers sports and other indoor and outdoor activities – Magnolia. (856) 656-0299. Cherry Hill ISC day camp for age 3 1/2 to grade 8 with extended hours – Cherry Hill. (856) 428-8588. Deptford Skating & Fun Center indoor outdoor day camp for Pre-K and up with field trips and theme days- Westville. (856) 845-7353. Enchanted Dreams Princess Camp dress up, arts and crafts and of course princesses at this day camp – Haddonfield. (856) 429-9909. Great Times Day Camp enjoy weekly trips, sports on the 59 acres of this day camp and the opportunity for academic enrichment. – Waterford Works. (609) 567-2166. 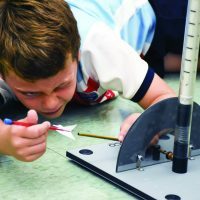 Haddonfield Friends School Summer Camp two years old to middle school offers STEAM activities and more – Haddonfield. (856) 429-6786. Kid Academy day care center offers care for ages 4-11 with trips, swimming, and other activities – Cherry Hill. (856) 348-3110. Lavner Summer Camp day camp at the Katz JCC for ages 6-15 offers robotics and coding – Cherry Hill. (888) 854-CAMP..
Super Star Summer Camp day camp – Cherry Hill. (856) 795-4599. We are currently working on adding summer camps to this listing. If you have a summer camp in Cape May County that should be added, please see the information above under Listing options for New Jersey summer camps. We are currently working on adding summer camps to this listing. If you have a summer camp in Cumberland County that should be added, please see the information above under Listing options for New Jersey summer camps. Golden Learning Summer Camp day camp for the full summer with extended hours for ages 3-13- Vineland. (856) 457-4468. We are currently working on adding summer camps to this listing. If you have a summer camp in Gloucester County that should be added, please see the information above under Listing options for New Jersey summer camps. Cecil Creek Farms day camp offered to ages 6-8 to learn about farming, healthy food and more – Mickleton. (856) 599-8925. New Jersey’s Got Talent Summer Camp day camp – Mantua. (856) 494-4554. Tall Pines Summer Camp day camp open to ages 3 – 14 offers horseback riding, unique sports, and creative and performing arts and more- Williamstown. (856) 262-3900. We are currently working on adding summer camps to this listing. If you have a summer camp in Ocean County that should be added, please see the information above under Listing options for New Jersey summer camps. Dare 2B Fit Summer Camp Multi sports day camp for ages 6-14 with indoor and outdoor facilities – Brick. (732) 773-6701. Ocean County YMCA Camp day camp held on the YMCA campus with local day trips for Kindergarten through 8th Grade – Toms River. (732) 341-9622. We are currently working on adding summer camps to this listing. If you have a summer camp in Salem County that should be added, please see the information above under Listing options for New Jersey summer camps. Appel Farms sleep away camp for fine and performing arts, open to ages 7-17 – Elmer. (800) 394-8478. To get your summer camp in New Jersey listed email Jersey Family Fun at jenniferauer@jerseyfamilyfun.com with New Jersey Summer Camp Directory in your subject heading.